I am wondering how I can make a band composite from three large bands files from Landsat? I was using option Raster>Miscellaneous>Merge but when I try to do it it crashes. This is something you can achieve with a Virtual Raster (Catalog). 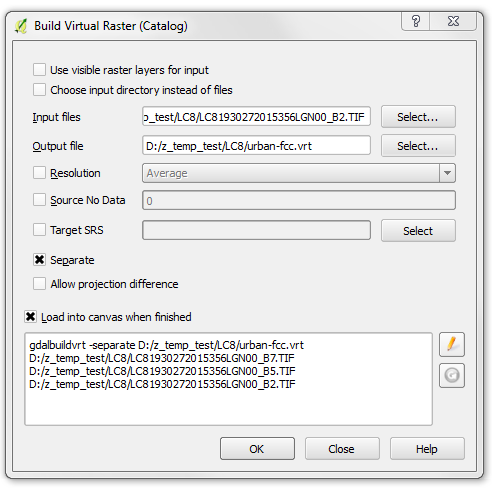 This will create a metadata file (.vrt) that QGIS treats like a merged multi-band raster without having to merge all the bands. 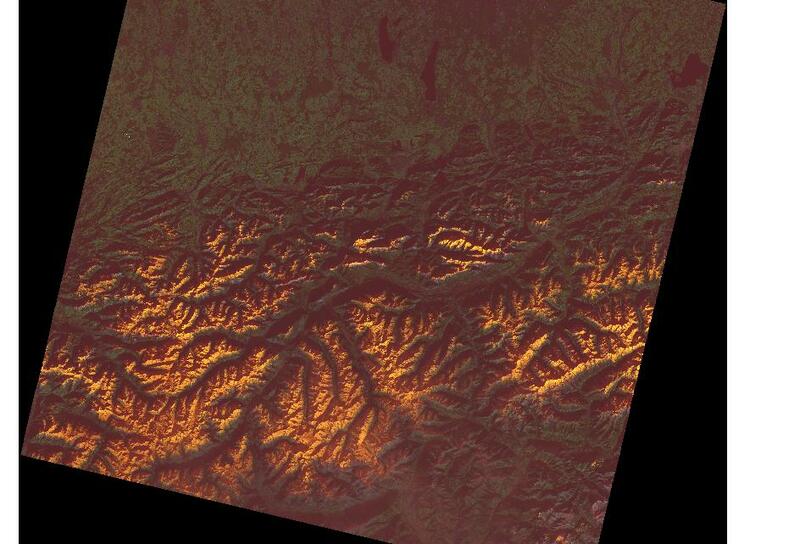 Select the bands you want to use as "Input files"
Here is an example using a Landsat 8 scene of the Alps to create a band 7,5,2 false color composite. Creation of the Virtual Raster (urban-fcc.vrt) takes seconds and the file is 3KB in size. Not the answer you're looking for? Browse other questions tagged qgis band composite or ask your own question. Processing multi-band raster in qgis using python script? Batch Processing single band raster to create multi spectral images using arcpy.CompositeBands_management?